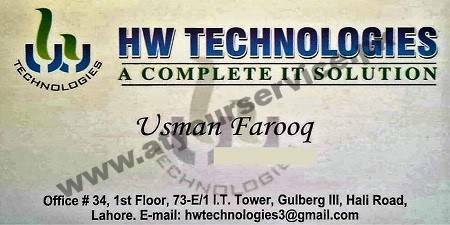 HW Technologies is located in IT Tower, Hali Road, Gulberg III, Lahore. It provides a complete IT Solution to your needs. It provides qualitative, & cost-effective IT services to a wide variety of clients.